UPDATED: Thu., June 15, 2017, 7:33 p.m.
NEW YORK – Everything is awesome for investors. Everything. Stocks are at peak levels. Bonds are making money despite a raft of predictions to the contrary at the start of the year. Stock markets overseas, notoriously poor investments for much of the past decade, are perking higher. Even gold, which typically glitters brightest when other markets are struggling, is up this year. If it feels precarious to have so many investments doing so well, particularly when the economy itself is still growing only modestly, markets are giving few indications of worry. The volatility index that traders use to measure fear in the U.S. stock market hit its lowest, as in calmest, level last week since 1993. And stocks have been so strong for so long that investors have been rewarded for using any dip in prices that does happen as an opportunity to buy low. 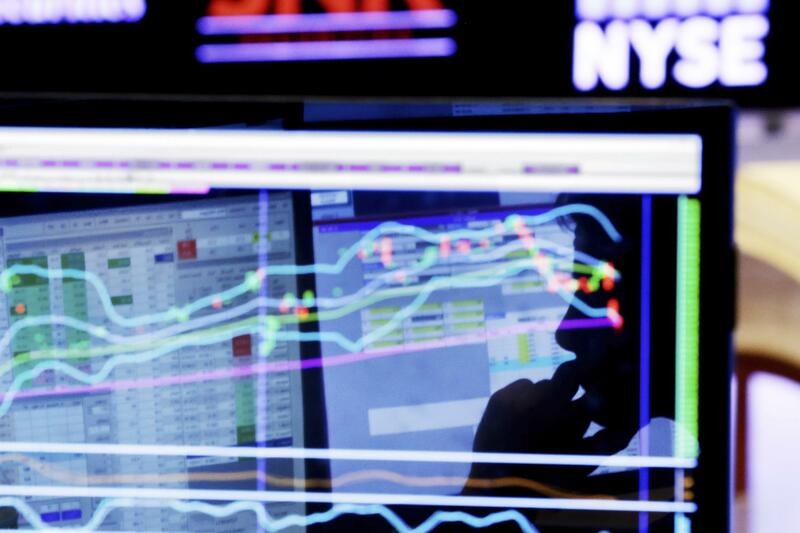 The latest example was the pullback for big technology stocks that began on Friday. Apple, Facebook and other technology giants that had been among the market’s biggest stars slumped, seemingly on the simple worry that their runaway success had made them too expensive. But the rest of the market held steady through the mini-bout of tumult, and the tech giants got back to climbing again on Tuesday. Analysts pin much of the credit for the upsurge in markets on all the stimulus that central banks have thrown at them. By keeping interest rates low and buying trillions of dollars of bonds, the Federal Reserve, European Central Bank and others have helped lift prices for bonds. And when bonds get more expensive, it makes stocks and other types of investments more attractive in relative terms, even if their price tags no longer look cheap at face value. That has some contrarians worried about what will happen as the Federal Reserve continues raising interest rates and talks about paring back its bond investments. And, perhaps more importantly, what will happen when other central banks join in. Mom-and-pop investors seem relatively unfazed for now. They have been plowing cash into stock and bond funds this year, but concerns are bubbling up elsewhere. Bill Gross, the famed bond fund manager, recently cautioned investors to not “be mesmerized by the blue skies created by central bank” actions. “All markets are increasingly at risk,” he wrote in his most recent investment outlook. Big institutional investors have begun cashing in some of their winnings and have sold some stocks or moved into less-risky areas of the market, said Kirk Hartman, global chief investment officer for Wells Fargo Asset Management. Even he himself has dialed back a bit on stocks. If stocks do end up having a sharp pullback, he wants to have cash on hand to pounce quickly and buy some more. Why it’s so high: Corporate profits are climbing again, and analysts expect earnings for S&P 500 companies to rise 10 percent to a record this year after stalling or falling the past two years. Revenue growth is also stronger for companies, which offers a more sustainable and healthier route to gains. For years, businesses depended instead on cutting costs and buying back their own stock to squeeze out more earnings per share. If Washington is able to cut tax rates, as Republicans have promised to do, profits could be set for an even bigger bounce. And stock prices, at their heart, reflect how much profit companies are producing or will. What could trip it up: Price tags are high. This most recent quarter notwithstanding, companies’ stock prices have been rising faster than their profits. When measuring the S&P 500 against its expected earnings over the next 12 months, stocks have been this expensive just 1 percent of the time over the past 10 years, according to Jack Ablin, chief investment officer at BMO Private Bank. Another way to measure stock prices popularized by Robert Shiller, a Nobel prize winner in economics, looks at how much companies have earned over the prior 10 years, in hopes of smoothing out the effects of boom-and-bust periods. That measure says the S&P 500 is at its most expensive level since the dot-com bubble was deflating in 2002. Why it’s so high: Since the 2008 financial crisis, the Federal Reserve and other central banks around the world have reached deep into their toolbox to support markets. The Fed, for example, owns $4.5 trillion in Treasurys, mortgage-backed securities and other investments. With central banks hoovering up so many of the world’s available bonds, prices have been high. This year, many analysts expected bond prices to drop in tandem with a rise in interest rates. When rates climb, newly issued bonds pay more in interest and make the lower yields paid by older bonds less attractive. With expectations for the economy to improve, inflation to tick higher and the Fed to continue raising short-term interest rates, the general call at the start of the year was for rates to rise. The opposite happened. Economic growth has remained sluggish, and the yield on the 10-year Treasury is at 2.13 percent after starting the year at 2.47 percent. That drop in rates has pushed up prices for bonds, and the most common type of bond fund has returned 2.7 percent this year, more than it has in two of the past five full years. What could trip it up: A rise in rates, which many Wall Street watchers still expect to happen. Economic growth may still be only modest, but the job market has improved and the Federal Reserve is itchy to pull rates further from their record lows. The Fed raised short-term rates Wednesday, the third time it’s done that since December. It also said it plans to start paring its bond investments later this year. Other central banks around the world aren’t yet pulling back on stimulus. But when they do, the pullback in stimulus would mean fewer dollars chasing after bonds, and the fear is that could lead to a cascade of pressure pushing down on prices across different investments. Published: June 15, 2017, 4:48 p.m. Updated: June 15, 2017, 7:33 p.m.